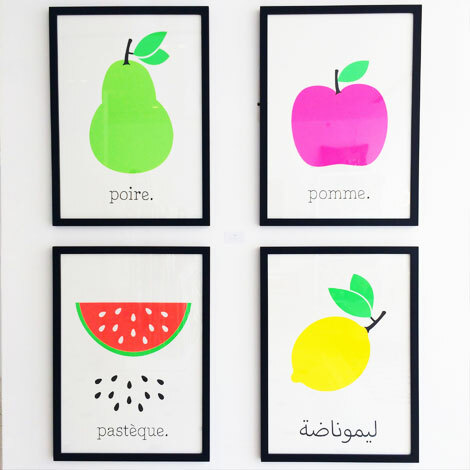 Limited Edition Silk Screens, 50 x 70 cm, four styles available (Apple, Pear, Watermelon, Lemon). Silk screened on 350gr cotton paper, acid free. Each one comes numbered and part of a series of 100. Framed in a contemporary black frame, perfect for any room in the house.